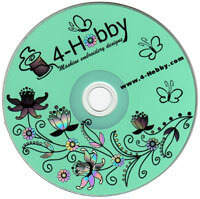 Photos of this gorgeous set has been emailed to us by Marilyn of Hamilton, Ontario. Marilyn, thank you for the awesome job! 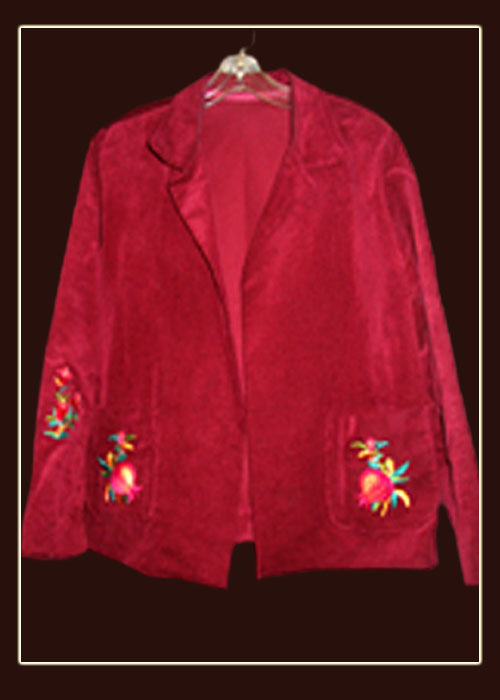 The jacket was embroidered using design from Pomegranates set. The skirt is a flared six gore skirt. 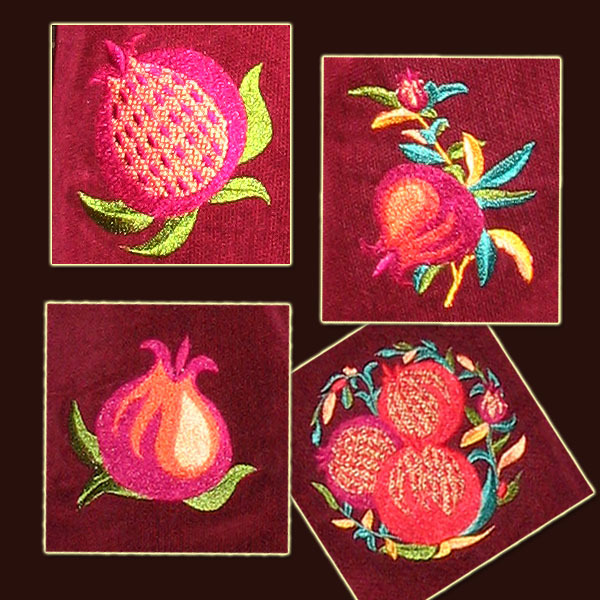 Each gore has a different pomegranate from your collection embroidered onto it. Each one is strategically placed at a different height. 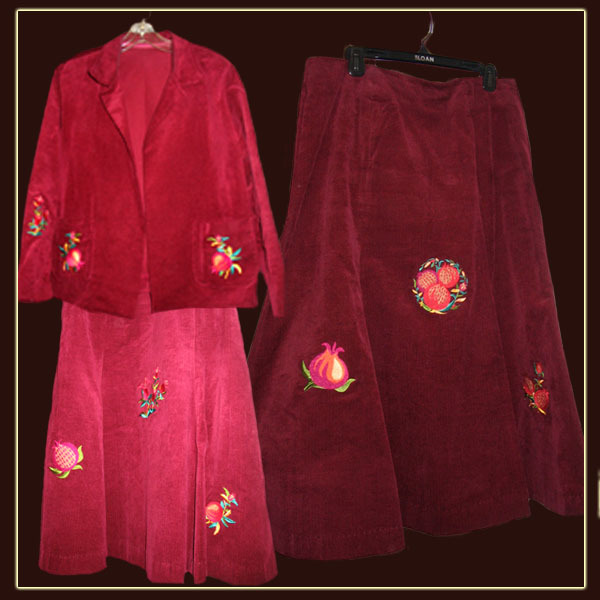 A jacket with pomegranates on pockets and on the sleeve. 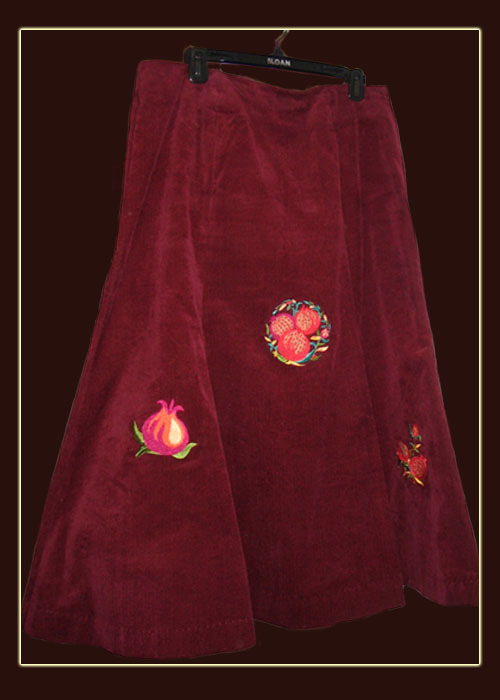 A six gore skirt created from a Simplicity six-gore skirt pattern. Each gore has a different pomegranate.